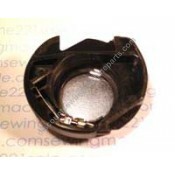 Uses bobbin #085128 (15J)Alternate Part Numbers086132, 86132 BRFits the following Singer sewing mach..
Use bobbin #85128.Fits the following Singer sewing machine models 4423, 4411..
Takes sure fit bobbins #359838900. 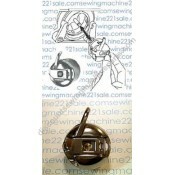 New style design bobbin case helps to prevent operator from inse..
Used ONLY, no longer available as new. Fits Singer model 115 rotary. What is a rotary? The bobbin ..
Oscillator bobbin case. 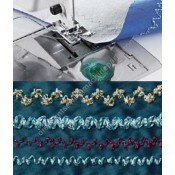 Use bobbin 2518-M. 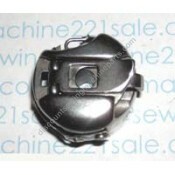 Fits 15-class (except 15-91) and all zig-zag oscillator..
Oscillator Bobbin Case. 15 class style bobbin case. 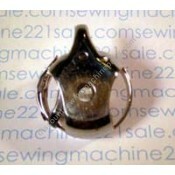 Use Viking 15 Class Bobbin #2518.Fits the foll..
Old style 15 class. 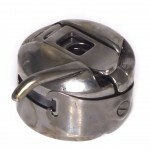 This bobbin case is NO LONGER AVAILABLE. Displayed for vewing purposes ONLY.Al.. Most common bobbin case. 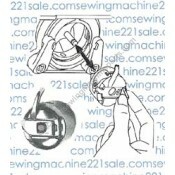 NOTE: There was a transition in bobbin case-hook system of the Viking Class..
Bobbin case 4120972-01 has been replaced by 4120972-02 (this bobbin case). 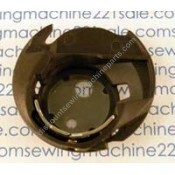 Use concave bobbin #41..
Bobbin case plastic type top loading with metal bottom for machines with round magnetic ring. Use bo..
Bobbin case plastic type, top loading. 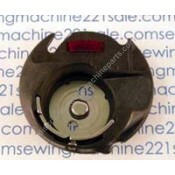 Use bobbin #4125615-45 (green). Alternate Part Numbers 41.. Uses bobbin #102261103. 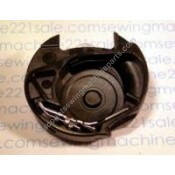 Fits the following Husqvarna Viking sewing machine models 116 Emerald, 1..
Viking model 33 bobbin case. 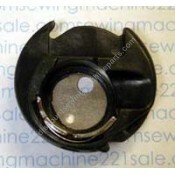 Uses bobbin #55623 (401-06-24)Alternate Part Numbers10939Fits the foll.. 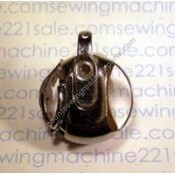 Uses bobbin #55623NS.Fits the following Husqvarna Viking sewing machine models 2761, 2780, 2781, ..
To avoid adjusting and readjusting your general-purpose bobbin case. Viking has created a "specialty.. 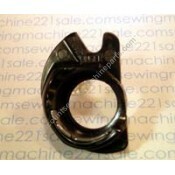 This part is compatible with Husqvarna Viking machines in groups 5, 6, 7. 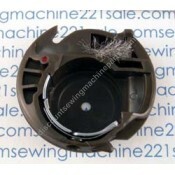 To avoid adjusting and rea..
Use bobbin 102261103.Fits the following White sewing machine models 2220, 2221, 2222, 2235, 1780..